The Ministry of Labor and Social Development (MLSD) said its Nationalization Department has entered into strategic agreements and partnerships with 18 government and private-sector entities in the last quarter of the current year. It targets nationalization of occupations in the fields of medicine, communication and IT, industrial firms, engineering consultation, commerce, tourism, retail, transportation, construction, accounting, legal services, as well as developing pathways of employment, training and rehabilitation. The department was established in response with the Council of Ministers’ decision No. (46-22/39/D) dated 11/5/1439 A.H. aiming to employ Saudi nationals in the private sector. Eng. Ghazi Al-Sharani, general supervisor of the department, said a number of workshops and meetings have been conducted with the Ministry of Health, the Ministry of Communication and IT, the Saudi Council of Engineers, the Saudi Bar Association, and the Saudi Organization for Certified Public Accountants to draw up a mechanism that nationalizes jobs in certain sectors. The entities have studied the data of job seekers who are qualified to work in these sectors in order to gradually start replacing expat workers with Saudi nationals based on qualifications. Additionally, the department has developed remote work centers in order to contain 50 Saudi female workers, targeting those who can execute tasks from home or use their nearest business centers. Also, the department is working on establishing a flexible work platform that allows new graduates and students to work on a part-time basis and receive their salaries with quickness, making sure that they get work experience, overcome fear and understand value of work in an early stage. The department signed a memorandum of understanding with the Al-Adawaa Medical Services company to employ 400 pharmacists in various regions of the Kingdom and plan offering of 133 medical assistant jobs. Among efforts made, the department also signed a memorandum of understanding with the Public Transport Authority to nationalize the education sector and another MoU with the Ministry of Housing to create 6,000 building plan examiner jobs with aim of adopting quality of construction. Moreover, the nationalization department conducted a workshop with the Saudi Commission for Tourism and National Heritage to nationalize the tourism sector and select jobs that fit Saudi nationals. Previously, the officials at the department met with a number of international companies including Tesla, Amazon, IBM, HAWAWI to explore nationalization of jobs in renewable energy and telecommunication and IT. Meanwhile, the department has finished the first draft for the guidelines to nationalize 12 activities related to the retail sector after it conducted intensive workshops and seminars with the private and public sectors. 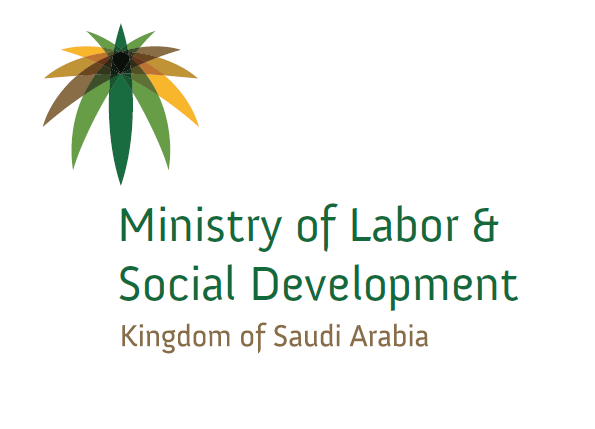 A feasible study was conducted to establish a national company in the field of operations and maintenance to serve the public sector and to nationalize maintenance jobs that are suitable for Saudi nationals. As for the transportation sector, the officials viewed the ‘Bus Captain’ provided by SAPTCO, a move that contributes to nationalization of the land transportation sector and exploration of further cooperation. The department and the Saudi Food and Drug Authority have agreed to finalize procedures for the total nationalization of sales and marketing jobs. Furthermore, the department has defined a list of target jobs that stem from renewable energy projects that the government set ups with the Electricity and Renewable Energy Regulatory Authority. Eng. Al-Sharani said the ministry is planning to lay out creative mechanisms that allow job seekers to find job opportunities that suit their specialties and their work experiences, which ensures the national workforce’s participation in the development of the private sector and its decision-making.